You may have seen me talking on Twitter about the importance of supporting your favourite blogs, and I wanted to expand on that here. With the rise of popular platforms such as YouTube, blogging is being overshadowed. With YouTubers who talk about books, or ‘booktubers,’ gaining tens of thousands of subscribers, it can sometimes feel disheartening when most blogs only have a few hundred or less. So why should you support your favourite blogs? For a start, you supporting your favourite blogs will most likely encourage more content. That’s a bonus for you, right? Readers also encourage better content and inspire the bloggers themselves. I know I wouldn’t be here writing this post if it wasn’t for all of you. That doesn’t mean I take you all for granted, but I know the interactions between us spurs me on and I’ve met some of my best friends through blogging. I’m a much happier person because of it. Whether you’re a regular reader of a blog, or have just stumbled across it by chance, you’re helping out. Without readers, blogs are empty shells. Us bloggers need readers to help coax the chicks out of the shells and this is what produces the content you see on the blog. That’s not to say blogs without tons of followers are bad, because most of the time the opposite is true: there are many blogs that deserve a lot more recognition. Why do I blog? I love blogging. Even though I leave sometimes, I’ve always come back. I’m tied to blogging now. It’s become such a big part of me because I’ve met so many people and because I love talking about books. It makes my day when people say they’ve chosen to read a book because of me, or want recommendations. Even a simple comment or tweet can turn a bad day into a really good one. You have the ability to do that, every single one of you. So what can you do to help support your favourite blogs? You can follow your favourite blogs, and there are so many different ways to do this. There will be the right one for you so you don’t miss out on the blog’s posts. You can also leave a comment. Did you know that you only have to leave an email address and a name to comment on this blog? It’s not very hard! Even simple comments, with just a few words, are greatly appreciated because they show that you’ve read the post and have reacted to it in some way. And even just viewing posts, typing the blog URL into your browser or clicking on a link, really helps. Even if you don’t want to leave a comment, you can still tweet the blogger and tell them you loved their post. Some blogs I think you should check out are: I Have to Read That, The Red Bookmark, Snuggling on the Sofa, and The Reflections of a Bookworm. Email – Enter your email into the box to the right. Every post will be delivered to your inbox! How do you support your favourite blogs? Definitely think encouraging people to comment more when they read is good. Can be hard from mobile though. This is a great post Lucy! I wholeheartedly agree that it’s really important to support your favourite blogs. Although I do have to mention that it seems to me that book bloggers generally get more publishing attention and help than YouTubers. We’re only starting to get a little bit of notice and even then it’s still a lot less notice than blogs of a similar size in followers to subscribers ratio (just doing my bit to defend the YouTube book community). I think blogs and Youtube channels are each different kettles of fish and it’s important to support both as they require very different skill sets to become ‘popular’ and good. I think eventually the two are going to become a lot more entwined than they are now, especially in the book community. I definitely agree with supporting blogs by following them etc… though. I love bloglovin as it allows me to keep all the blogs I follow together in one place, I’ve never got used to feeds and things like that but bloglovin has made everything super easy. I love it so much that now if a blog doesn’t have bloglovin I’m not likely to follow them because it’s my one stop shop, which is probably bad of me but I can’t help wanting everything to be convenient and well organised. Iona recently posted…Happy Valentines Day! I definitely agree with you. As I have both a blog and a YouTube channel, I do see both sides, but booktubers do get more attention from readers. I do think it is harder to get spotted by publishers though, probably because it is such a new thing. Great post Lucie! It’s true that booktubing is becoming more popular, but most booktubers also have a few hundread subscribers. I don’t think there are more than 10 who actually have tens of thousands! Nevertheless, I do find it important to support blogs we like! I wholeheartedly agree Lucy! I think the book blogger community has changed a lot over the past year, with more people (and attention) turning to booktubers rather than book bloggers, but I think it’s important to remind people why they started reading and following book blogs in the first place and that if they support the written word – by reading and sharing books – it makes sense to continue to support their favourite book bloggers, otherwise it makes no sense for *us* to keep going. Hello again 🙂 Such a long time since we last talked(!) When I saw Stacey’s explanation (while I was trying to multi-task & read this in Feedly) at first I found it strange that a blogger & vlogger would post this but now I get it… You are less biased than us, you’ve tried most. So, it’s really good to hear this from you & I hope you can get this message across to vloggers as well 🙂 I imagine both take a lot of work- in fairness, you can plan only so much for them & structure them before it looks fake or whatever. That’s another topic for another day, though. This is one thing I agree with. Especially about commenting. I can’t talk, as a large tweeter presence, but actually- comments do mean more than tweets. Cos tweets are if you don’t have much to say, I don’t bother commenting if it fits in a tweet if I’m honest. Takes longer? I comment. Sure, it’s easier to get in a convo with short opinions sent back & forth on Twitter but… you can tell, there’s a balance of pros & cons. (BTW, if you wish to respond to this like Twitter, feel free! I’m on Twitter also… whichever). I guess, the other point to do with that, I wanted to say. I don’t really get comments THAT much. I get more on Twitter: RTs, followers, clicks on my twitters, remarks about my post & I’m so grateful but there’s points where I’m too busy for Twitter & if I’m not on Twitter, it goes wrong. I can’t just rely on Blogger cos I’m supposed to have like just over 100 followers there, all things combined, but really? About half my views & whatnot come from Twitter & certainly more COMMUNICATION happens there. Comments are what makes the bloggy world go round. WE NEED TO COMMENT TOO, guys. This year I’ve only had 14 comments from other bloggers & I DO respond (even if it takes me more than a week) so they can’t be scared I won’t scare, right? Amy Bookworm recently posted…Book Promo [#15] Blackout (T.O.E #2) Cover Reveal! Danielle recently posted…Valentine’s Guest Post and Giveaway with Lorraine Wilson! Great post lucy, I completely agree on all points. Alex 🙂 recently posted…#ShowcaseSunday #7 Backlogs Galore!! I completely agree with you! Any support from readers makes me happy and pushes me to keep posting things for them to read. 🙂 Great post, Lucy! I love this! I thought about trying to vlog a few times this year, but I’m not that comfortable on camera. I even filmed one but didn’t like it! I’m much better with words, so I really enjoyed this post. I think it’s really important, especially as a blogger, to make an effort to comment and read posts from other blogs. I’m guilty of not doing things that actively support sites and blogs that I visit. I’m quite likely to retweet things that grab my attention, but when it comes to other things, it’s been trickier. Up until very recently, I’ve relied on a massive row of Firefox tabs to keep all the sites I visit in one place, so I can be reminded to drop by. This approach has been massively flawed, given that my Firefox browser crashes or play about at times, leading to everything being lost. After reading Lucy’s tweet online (which had been retweeted by someone I follow) I thought that it was high time I changed the way I read blogs, so I went through as many as I could remember or find, and signed up to the email notifications, as that seemed the easiest thing to do, since I check that more regularly than anything. Like Iona, I like to have everything in one place, so if a blog doesn’t have an email signup, I either sadly just don’t bother, or have to rely on Facebook actually showing me their updates if I sign up there. That said, the comment about Bloglovin’ has me interested, so I’ll check it out. Any makes a good point about comments, but in my experience they are very hard to come by. Aside from writing, I also own, edit,and write for a videogame site, which will be five years old this year. Despite having very high traffic, we rarely get anyone outside of the writing team commenting on articles, unless they are on especially contentious issues, or have been retweeted by a game developer/PR. I think that comments help reaffirm why any of us bother doing any of this, and makes us feel like someone actually is out there, reading what we have to say; that the traffic numbers aren’t a lie – that we do have an audience. To that end, I’ve decided to make more of a concerted effort to comment on more articles. It’s not that I’ve ever avoided it in the past, just that I’m usually too busy and then forget, so when I read something, I tend to think ‘I’ll come back later and say this or that’, and then it slips my mind. It’s amazing this post inspired you to subscribe via email. I personally do that only on comments I’ve posted on & that gets me enough emails! 😛 I use feedly, it’s an RSS… as you’re new to email noti’s you may find it’s not for you & if so, try one like feedly 🙂 They’re awesome, keep you organized & are often on clouds… can’t just loose data. I already use Google Analytics 😛 But not much, as, like I said in my first comment (not to Lorna), I don’t care about those stats as much as comments & getting my comments out there. I don’t want looking at stats to take out too much time out of the rest of my blogging activities & duties. I’m not someone who really mentions my stats for views or whatever, not even followers, unless like… some publisher asks for it or something? I don’t often do the whole subscribe to comments thing, as I’ve been inundated in the past, so I usually avoid it! Still, making the time to actually be able to read posts and then comment is tough – sometimes I end up reading stuff on my phone, but hate having to type a comment on it, as I’d rather do that at a PC or laptop, which is why it often gets forgotten about in the transition between the two. You know how much I loved your tweets 🙂 Lovely to see it in blog format. 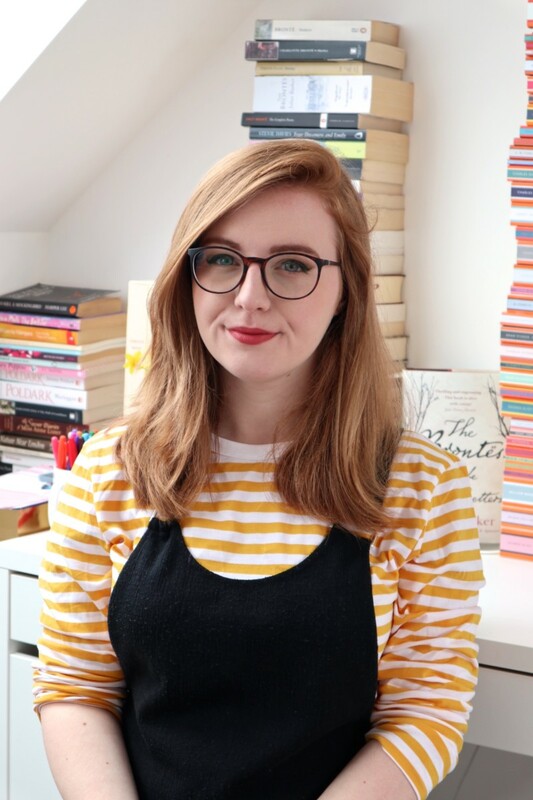 I was worried we might lose you to booktube (which I faithfully watch and subscribe to!) It’s good to know you still love book blogging. I think it’s so important that we show our favourite blogs appreciation. Even if I don’t always leave a comment, I try and view most of my favourite blogs daily. Bloglovin’ is so helpful and so is twitter, although I think I miss quite a bit on twitter, as I’m not on it as much. I was going to comment yesterday right when I saw this post but I didn’t have time! But yes, I agree with you completely 🙂 It is so important to support your favourite blogs because as a book blogger myself, I just love it when someone takes time to comment, share or even read my post/blog. I agree! Supporting fellow blogs is such a lovely thing to do and it just makes blogging funner and nicer for everyone. Such a big community of support and recieving comment no matter how big or small are great day brightners. Great Post Lucy! This is so true – readers are absolutely everything to bloggers. Without them, there would be no one to share amazing book finds with!